The Printmaking Council of New Jersey was formed to support the fine art of printmaking statewide. Founders Lois Berghoff, Zelda Burdick, Florence Wender, Carol Yudin and Peter Chapin, then Chair of the Art Department at Drew University, envisioned an organization that would help local artists as well as promote the arts in New Jersey. On December 10, 1973 the incorporation papers were signed and the Printmaking Council of New Jersey was established. Museums, colleges and art centers made available their facilities and galleries for PCNJ programs. However, The Printmaking Council was in need of a permanent home. The Roving Press, a community outreach program of PCNJ, attracted the attention of the Somerset County Parks Commission, which had recently acquired 35 acres of property donated by Ralph T. Reeve to be used as a statewide cultural complex bearing his name. PCNJ was offered 3 acres and a two-story framed building which once housed the offices of a lumber company. PCNJ moved into the newly renovated Ralph T. Reeve Cultural Center in 1978. PCNJ finally had a home, and over the years, the space has become a vital cultural resource for artists, collectors, college students and children. 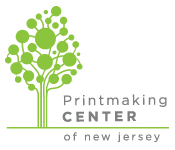 In 2010, the organization changed its name to The Printmaking Center of New Jersey. While its popular acronym ‘PCNJ’ remained constant, the new name reflects the organization’s identity as a place where artists and the public gather, and its goal to use printmaking as a community-building tool. The Printmaking Center remains one of a few open printmaking studios in the state and provides a full range of vital and unique services and programs for artists and the general public. Members rent time in the professional studios for a fee. Each year a number of editions are published bringing together prominent artists with Master Printers. The Center also offers professional artists and novices alike an opportunity to enroll in an expansive selection of printmaking workshops. In-house galleries feature several dynamic exhibitions annually. All exhibitions are free and open to the public.